Although men’s fashion can be conservative at times, it is clear that current trends are changing. Bright colors and bold contrasts are making an appearance on runways , creating inspiration from past styles or from trendsetting subcultures. In Morel’s latest collections, there are no longer any confusion about mixing genres, trends, and colors. For the designers at Morel, that represents an exhilarating burst of freedom. 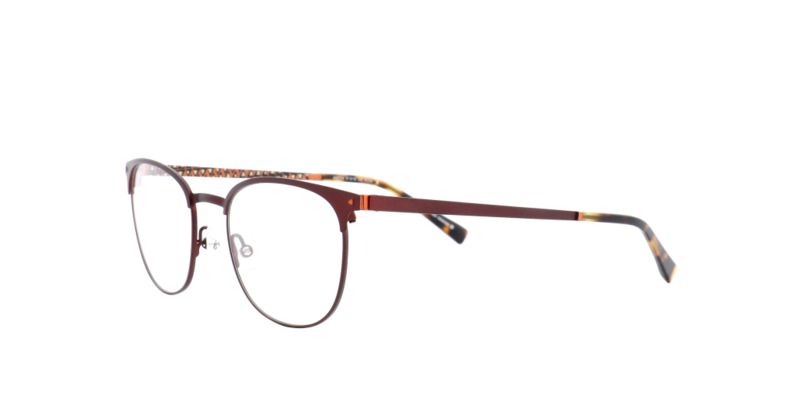 This season, they are offering colorful frames, with electric blue, orange, and brown as the dominant shades. With its Öga collection, Morel offers a selection of technical frames with masculine design features. Just like the man who wear it, the Öga collection is straightfoward and self-assured. The style is modern and manly. It is precisely due to the smart, clean lines that the collection can take a risk on bold color choices. 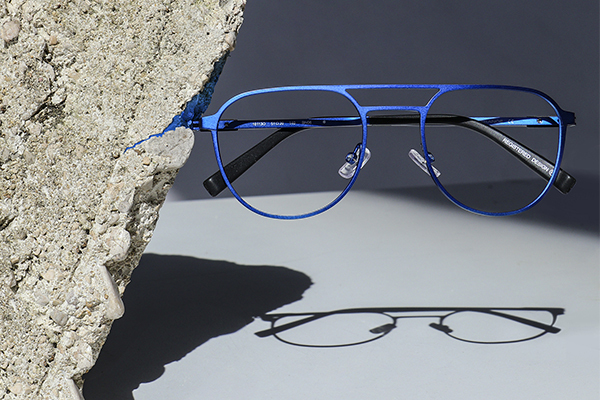 For those who like an assertive look, there are electric blue frames, as well as orangey-brown tortoiseshell. For those who would prefer to play it safe, we offer a polished brownwith discreet touches in color. A little bit retro, yet trendy, the 1880 collection draws inspiration from Morel’s earliest designs and updates them for today’s clientele, always with an ultra-sophisticated look. 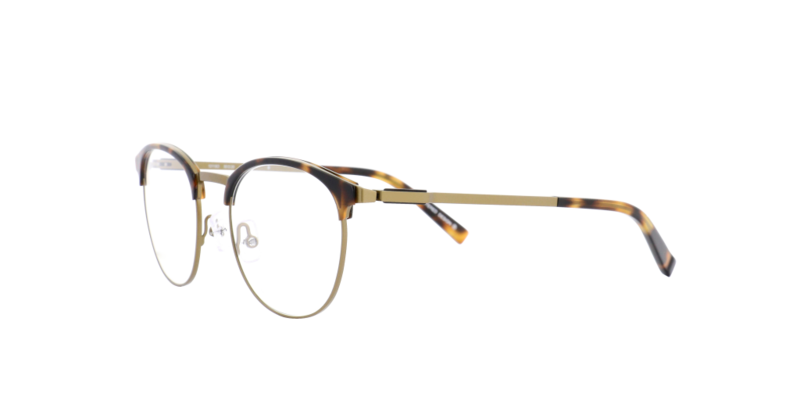 In this case, we’ve opted for a somewhat unique style, playing with vintage detailing: a clever mixture of metal and acetate, along with decorative rivets that show off an assertive sense of style. 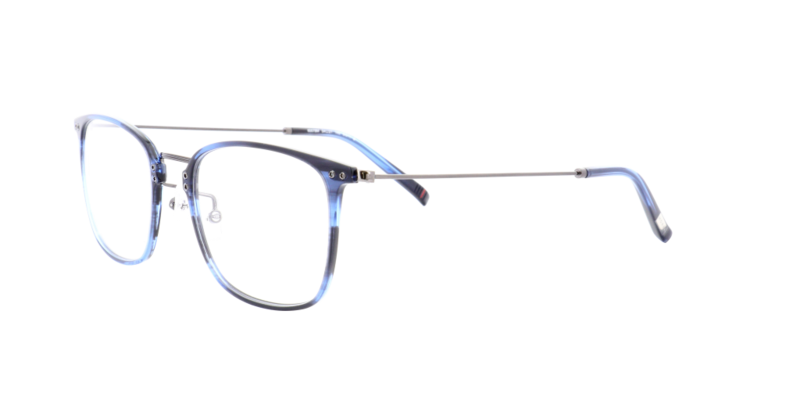 The colors we’ve used here are bold yet masculine: blue, tortoiseshell, translucent anthracite gray, and a crystal-clear acetate. Inspiration is everywhere: in art, in nature, in days gone by, and in the people we meet. For the designer of the Nomad collection, the very best source of inspiration remains traveling and exploring different cultures. This season, Morel is making a bold choice of ethnic prints in its Nomad collection. These ethnic prints, while stylish are used discreetly. They make a bold statement, but only on the inside of the temples, revealing just a touch of color to those who are observant. Whether using just a touch of color or with an eye-catching overall look, Morel has every intention of shaking up the men’s eyewear market. How? By investing in trendy, comfortable and ‘fun’ frames. 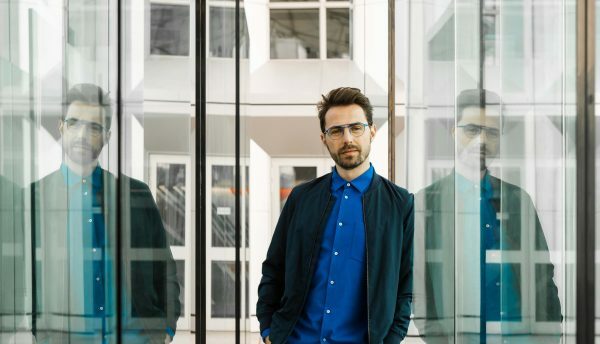 After all, that’s what a creative eyewear designer is meant to do: offer frames that you’ll be excited to wear, and show off.